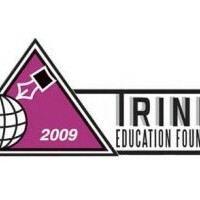 Trinity Education Foundation is a leading institution and one of the best education consultancies in Pokhara providing higher education and immigration opportunities around the world for its students. This institute started its operations from the year 2009 and has achieved a high rate of success within a short span of time. They have recieved remarkable success in Australia, New Zealand, UK, Finland, Norway, Mauritius and progressively working on United States of America, Canada, Japan, South Korea, Malta, Ireland and Netherland. Because of its remarkable success, they succeed to establish a strong goodwill among the students, teachers and guardians who have helped them to become a leading center in the town in its category of services. Trinity Education Foundation is teamed by a group of experts. They have experienced education consultants and IELTS/TOEFL/KET test preparation Instructors. Trinity offers great opportunities for study and migration in various countries. They specialize and offer opportunities for students to study in Australia, New Zealand, Finland, Norway, United Kingdom, United States of America, Canada, Japan, South Korea, Malta, Mauritius and Netherland. Additionally, they have approach to many other countries where students have lots of opportunities and great careers. They assure all the aspirants for quality training, education and successful migration to your dream destination. It is impossible to complete any journey if you never take the very first step. They would like to encourage you to take the first step and they are here to show you the way out. A journey of a thousand miles starts with ine single step. Start with realistic goals, then improve or add to the goals as your education and experience increase. Always remember that it is best to walk before you run. They thank for choosing Trinity as your career advisor and associate. They assure you the best counselling, best destinations, best education and of course, better immigration services.